In case you somehow haven’t heard, large banks, most notably Bank of America, plan to start charging customers who use their debit cards to make everyday purchases. You see, every time you make a purchase with your debit card, the merchant surrenders a certain amount to the issuing bank, along with Visa and MasterCard. But thanks to recent legislation included in the Dodd-Frank Act, banks are limited to receiving $0.21 cents per transaction, plus 5 basis points of the transaction. Oh and an additional penny if they meet fraud prevention rules. All in all, they stand to make just 24 cents for the average debit card transaction, which is $38. This is a far cry from the current 2% or so that they make, which can obviously add up on big transactions. And so Bank of America is “fighting back.” Wells Fargo also plans to test a $3 monthly transaction fee in five states beginning later this month, and Chase already piloted a $5 debit fee in Wisconsin. There has also been talk of a limit on debit transactions, meaning you might only be able to spend $50 or $100 per transaction. But word on that type of restriction has waned lately. Unless you “take a stand” and ditch your current bank in favor of another, smaller institution exempt from the rule, or go with a company that doesn’t implement the fee, credit cards are going to be your best bet. In fact, using a debit card, even without the monthly fee, could be looked at as a losing endeavor. You get little or nothing aside from limited purchase protection. Meanwhile, there are plenty of credit cards out there that give you cash back for making purchases without charging an annual fee. On top of that, many credit card issuers currently offer spectacular opening bonuses, such as Chase Sapphire’s $500 cash back. If that spending requirement is too much to handle, there’s also the Chase Freedom $200 cash back bonus, which only requires $500 in spending over three months. So there are plenty of good alternatives to debit cards. And you don’t run the risk of jeopardizing your associated checking/savings account when using a credit card. Of course, there’s a caveat. You need to be responsible. There’s a reason credit card issuers offer cash back and lavish rewards. They expect you to carry a balance and pay costly finance charges. With a debit card, the most you could really do is burn through your entire checking account. While not advised, at least you wouldn’t be charged interest on those purchases. But it’s clear we live in a world where credit cards will increasingly dominate, so it’s more important than ever to spend responsibly. The good news is you will be rewarded. 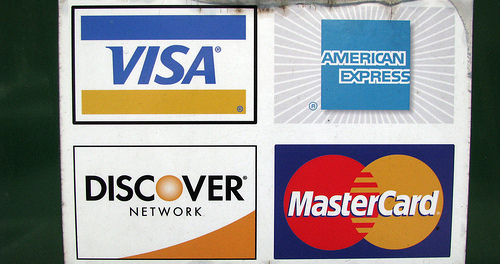 Previous Previous post: The Best Credit Cards to Use Abroad for Free!